The Boxer Rebellion was fought Chinese soil over 100 years ago. Back then, the Chinese government was incredibly weak. Western powers were able to establish concessions – pieces of land that functioned as colonies – all across China. The poor, hungry, illiterate teenagers living in the Chinese countryside felt embarrassed by their nation’s weakness, so they came up with this ritual that they believed would give them mystical powers. Armed with these powers, they marched across their homeland into the major cities, killing European missionaries, merchants, soldiers, and Chinese Christians. Because their martial arts reminded the Europeans of boxing, they became known as the Boxers. 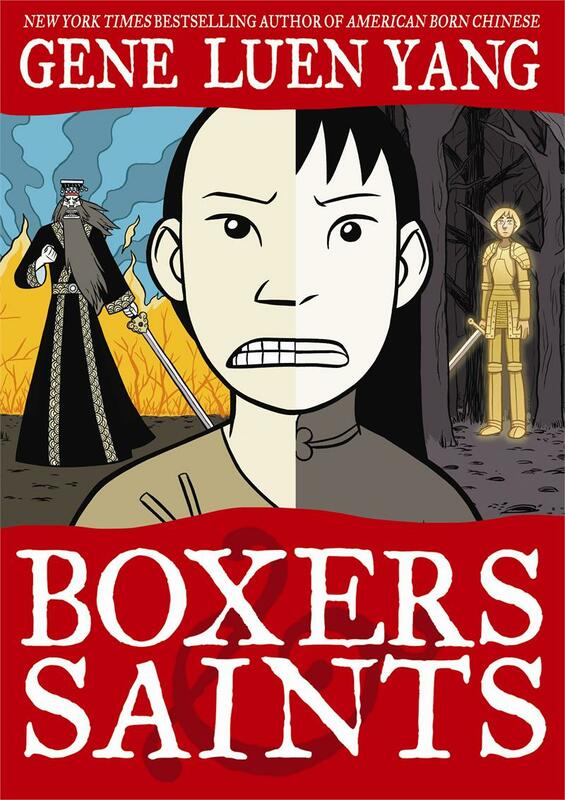 Boxers & Saints is a two-volume project. In the first volume, the Boxers are the protagonists. In second, their Chinese Christian enemies are. I wanted each volume to be distinct from the other. Boxers is much longer, almost twice as long as Saints. It’s my attempt at a comics version of a Chinese war epic, full of glory and color and bloody battle sequences. Saints is shorter, more intimate, more humble. The scope of the story is more limited, as is the color palette. I pulled from the aesthetics of American autobiographical comics, and I hope it reads like a personal journal.